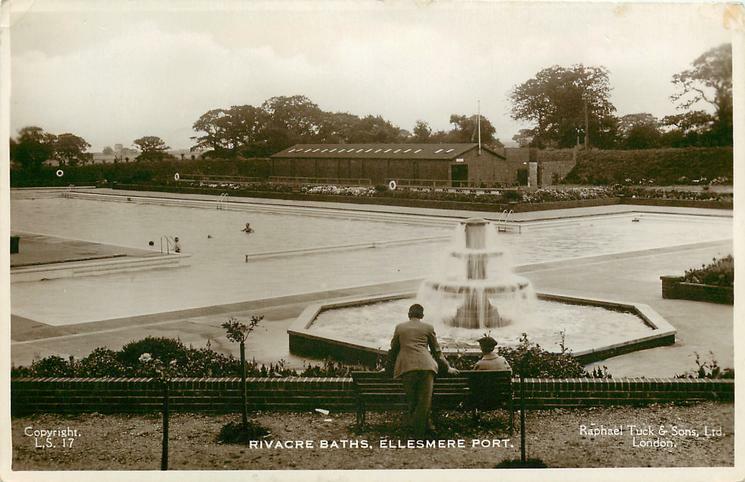 From 1934 until 1985 it was the home of the fabled Rivacre Baths. A huge outdoor swimming pool (public baths as they were then more commonly known). This was a popular attraction, bringing in folks from as far away as Liverpool! 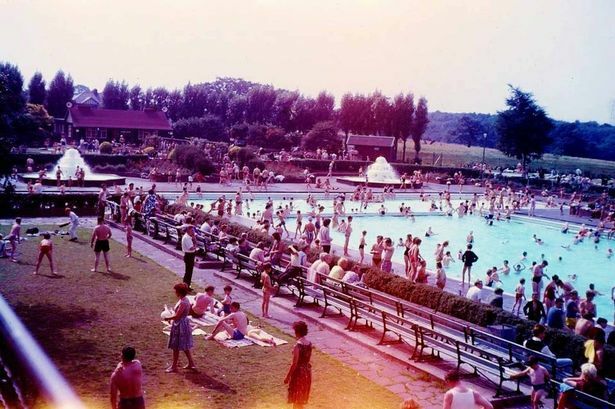 In 1932 the scheme for an open air pool was submitted to the Ministry of Health. The original idea was to construct the pool at the bottom of the valley and use heated water from the nearby Bowater’s Paper Mill, situated along the Manchester Ship Canal. However, this was abandoned due to unsuitable topsoil. Instead, a site at the top of the valley was chosen. Many criticised this whole choice of location, due to it being too far off the beaten path. In 1934 the tender of £11,869 for the construction was accepted by the Council. The building work was undertaken by Harry Fairclough Ltd of Warrington, according to designs by Council Engineer C.W. Davis. 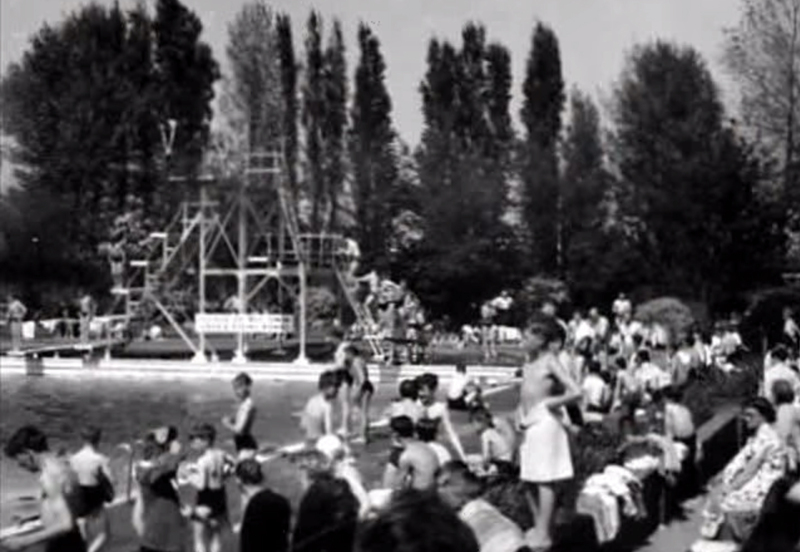 In August the pool was opened by Cllr George Astbury, Chairman of Parks & Cemeteries before massive crowds. Due to the advent of indoor swimming facilities in the area, Rivacre Baths gradually fell out of favour. 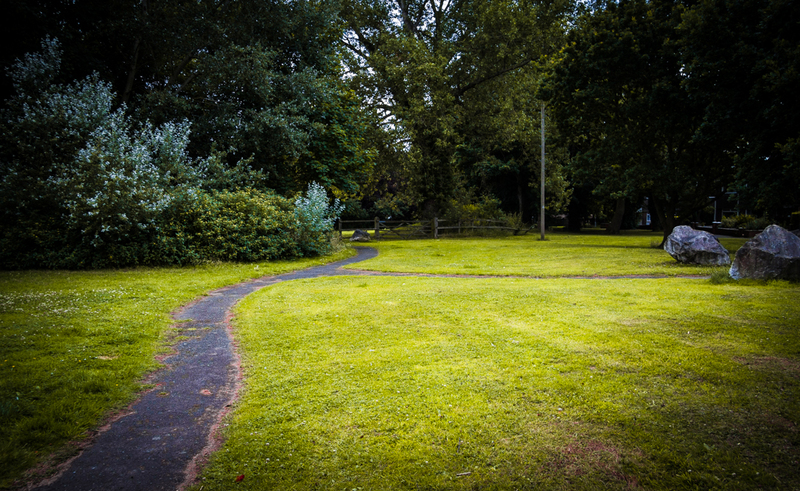 The Council looked into converting the site into a lesiure and recreation area, but no money was found to support this proposal. The baths were closed in 1981, and demolished and filled-in in 1985. Visiting the site today, unless you were told about this, you’d never know how much of an attraction the place used to be. 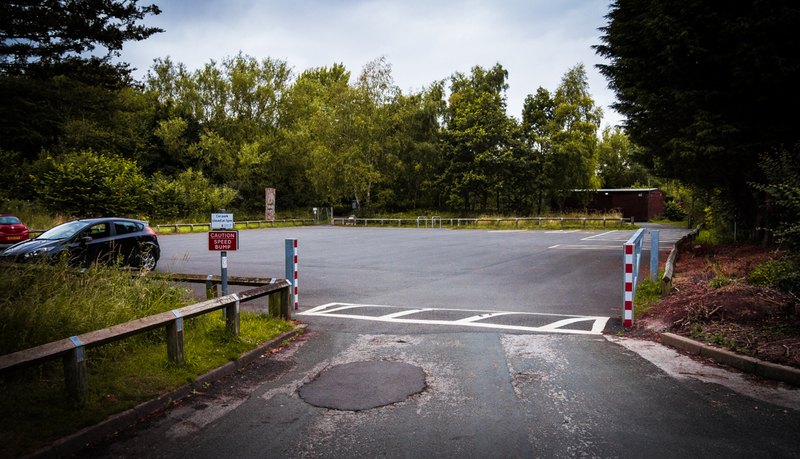 This is the car park of the Nature Reserve, it stands to the west of the old baths, as seen on the map on the previous image. This road seems to have been resurfaced at least once, before being partially covered with earth to form a narrow footpath. This used to be where the entrance to the old baths car park stood. This was the car park. Rather small for a popular attraction, but when it opened in the ’30s I expect most visitors arrived by bus or on foot. 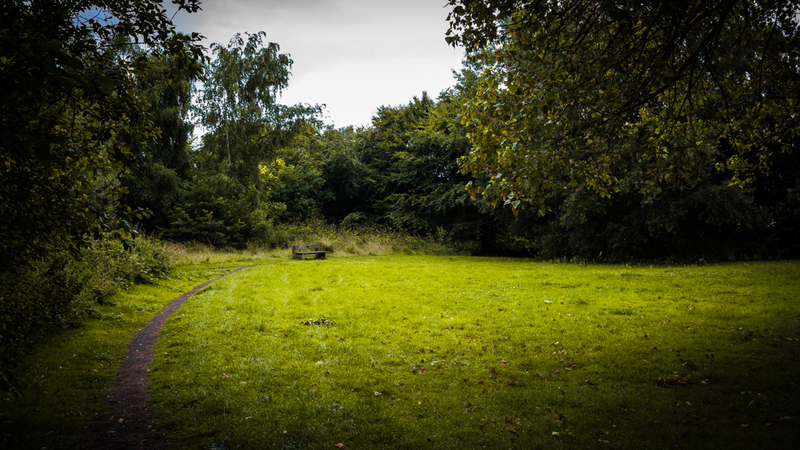 This clearing is where a large part of the pool stood, although it would have extended beneath the trees in the middle of the clearing as well. 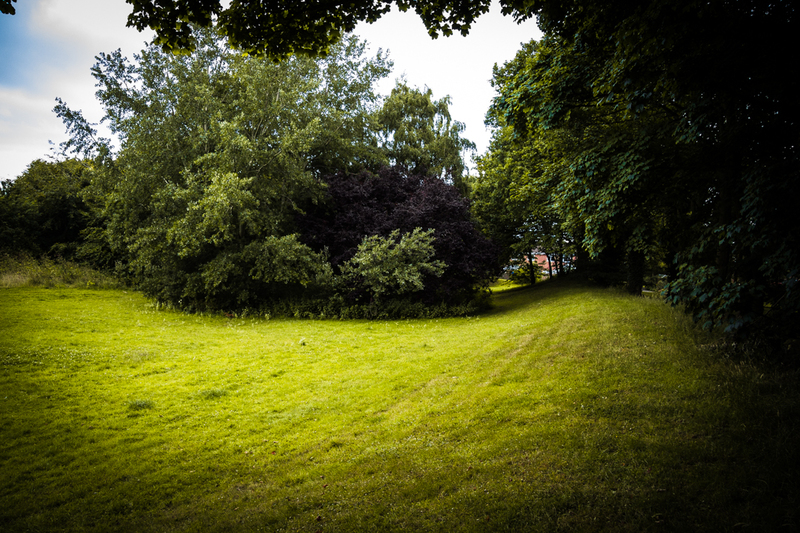 A large artificial embankment has been constructed between this clearing and the modern housing estate on Poole Town Road beyond. It’s possible this embankment was created using left over fill from the demolition. 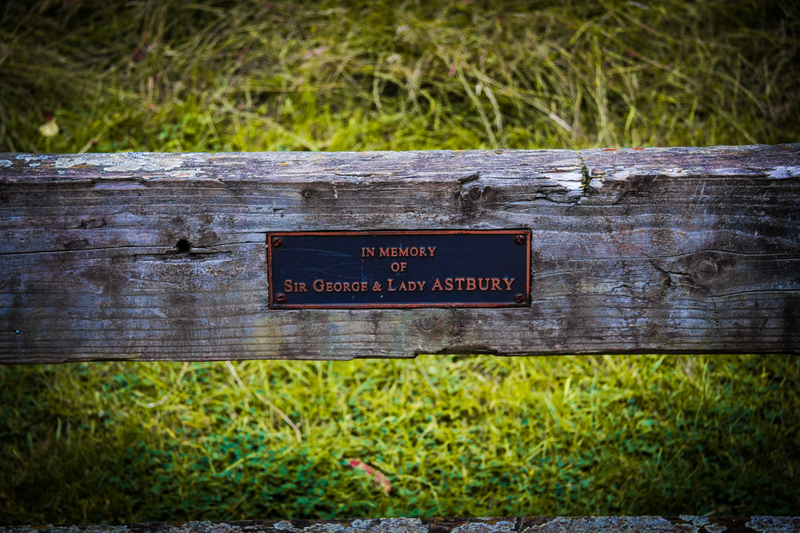 This park bench lies in the middle of the clearing, in memory of Sir George Astbury, English Justice of the Peace, of Backford, Chester. And Lady Harriet Astbury. Another view of the clearing where the pool once lay. 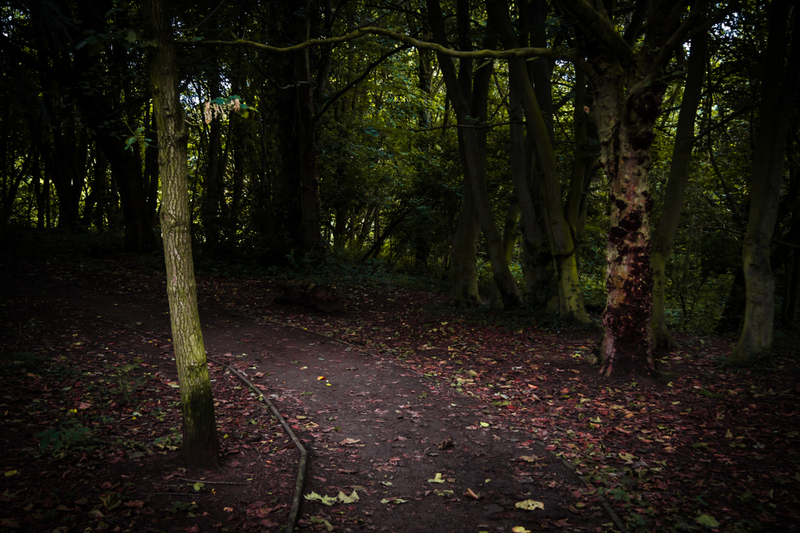 A pathway runs through the trees to the rear. Beyond here, the land suddenly falls away from this flat space, perhaps marking the edge of the site of the baths. Local history is all around us. I’ve lived on the edge of Rivacre Valley all my life, although I was born just before the baths were destroyed. I used to listen to the older generation talk about how great the baths were, and yet I’d never found any trace of it in the valley itself. Once I found the old map in the GIF I was able to create the overlay and find where the baths once stood. All in all, a fun little adventure and a fine way to spend an afternoon. Had a sister Sharon and mum poss Sandra????? I believe this is how it has looked since it was filled in, yes. I went here with my mum as a child. My parents Ron and Joan got divorced while living on Woodbank Road Ellesmere Port. That was in the 60’s. ..Wayback then I seem to remember a friend called Brian Eccles, he tought me to ride a bike…also on Woodbank Road….he would be in his 60’s now My parents have both past away. I now live in Sydney Australia…Beautiful memories except for the divorce.. 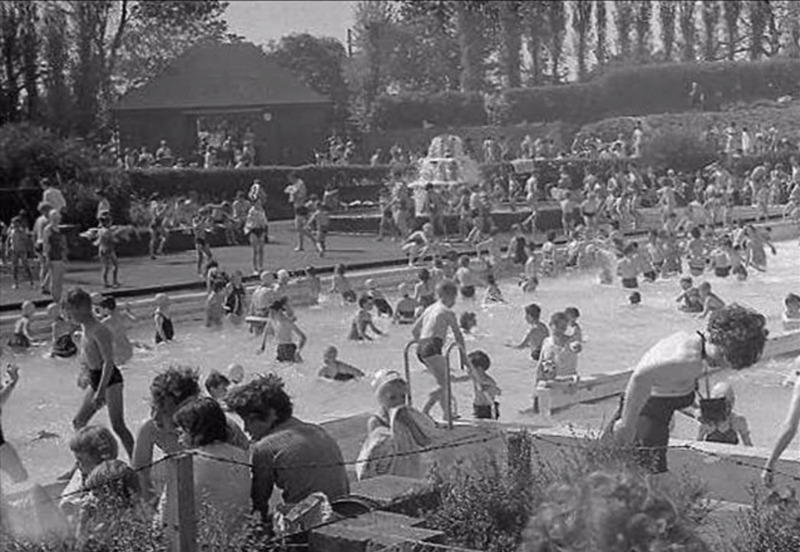 Spent many many happy hours at the baths,anyone remember climbing up the fountains and sitting on top,bombing from the top board etc,guess we’re all getting old. my dad was the manager and I lived there for over twenty years. I had a great time growing up there and have lots of wonderful memories! I lived in overpool then later in the rivacre I can remember queueing for hours to get in right up the road . How cold it used to be then a cup of hot chocolate in the cafe and bars of toffee , happy days I went to watch the play about the baths at the civic hall . I learnt to swim here. We came from the Grammar School midweek and the place would be empty. 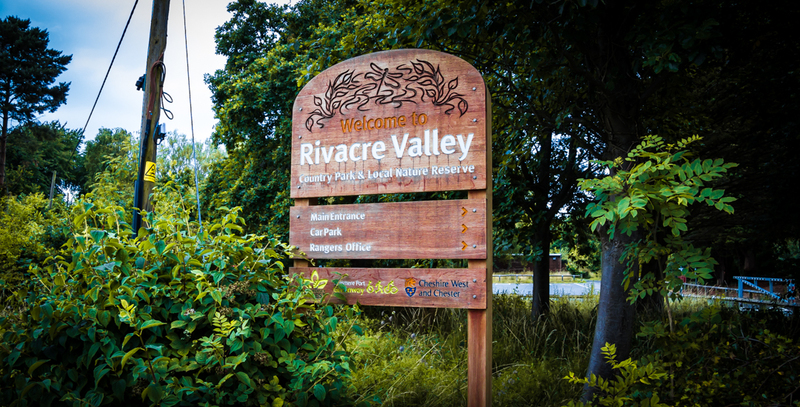 Spent a lot of summers at Rivacre, freezing cold, turning blue, but then when the sun came out, burnt to a crisp! I last went here with a girl friend at the the time in 1976! Loved yet hated the place. I used to live in Rivacre in the late 60s and early 70s and used to spend every spare moment I had in the baths when a child. My mum used to queue up when it opened , I think on April 1st, and get no1 and no2 season tickets for me and my brother. They were a different colour each year. I remember the cafe and the cold drinks machine outside with a dial to select your drink. If you swung the dial from side to side as it was delivering the drinks you got a mixture of all of the flavours. You could sunbathe on the terrace which was on the roof of the men’s changing rooms. I remember being there one time when a coach full of Canadian Mounties turned up for the afternoon, which was a bit surreal. I went every day in the summer holidays…..my trunks never got chance to dry😁…..many many fond memories. One of the reasons the baths were opened was the drowning of my Uncle Jack Fletcher as a young boy in the canal. My mum and Dad (his brother) were among the local youngsters invited to be the first to enter the water! No-oPeterne has mentioned the low flying and very loud Gloster Meteor jets talking off from and landing at the nearby Hooton aerodrome. I think this is where the USAF was based. The Astra factory was later built on the land. As a young boy at the time (late 40s and early 50s) the jets added to the excitement. But I went only a few times. On second thoughts I think the USAF would have been based at Burtonwood near Warrington. Hooton would be RAF. I remember the low flying jets that would skim the tops of the trees were we camped under and the gunners turret up on the hill. We would spend hours. Cramd into that. Loved coming here as a family from Liverpool as a child in the late ‘60s and ‘70s. Spread out our towels on the surrounding grass and ate our picnics and pop in what seemed to be endless sunshine. Nobody else seemed to remember this location, so I’m glad I didn’t just imagine it. 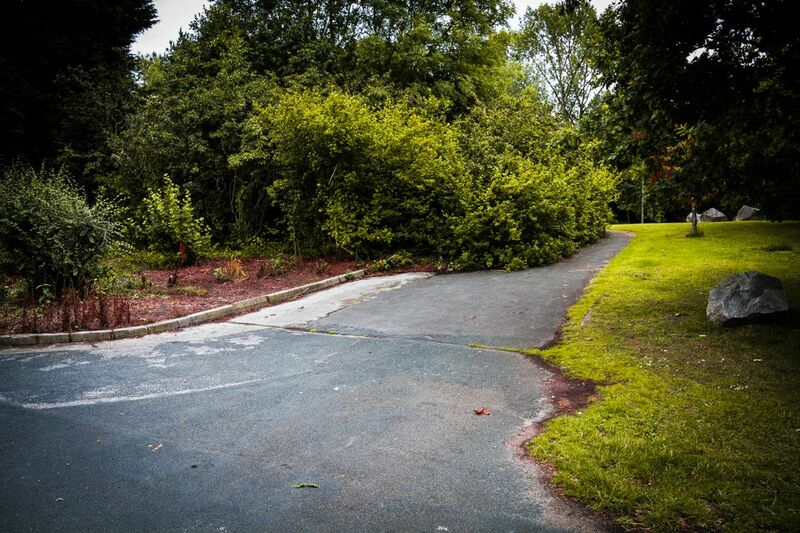 Similar sites in New Brighton, Wallasey and Hoylake, all also sadly closed now. Something to do with a change in the weather and the fact that we don’t have summers anymore , must be this global warming !! !